Fascinating as the impeachment of Chief Justice Renato Corona is in the House of Representatives in the satire that is, otherwise, known as Philippine politics, how many of us non-lawyers really comprehend what we are hearing about in the media? Most lawyers will probably rally behind the Chief Justice, not so much to protect the person but, rather, the sanctity of the institution that is the Supreme Court. However, if the television text polls are anything to go by, then the ordinary men on the streets are overwhelmingly in favour of the impeachment. The word “impeach,” in the political context, means to charge, accuse or bring to accountability a person in public office before an appropriate tribunal. In the Philippines, the impeachment of a public servant is covered by Article XI of the constitution, which is all about the accountability of public servants. The article stipulates that the President, the Vice-President, members of the Supreme Court and constitutional commissions and the Ombudsman may be removed from office by way of impeachment. All other public servants may be removed from office by way of law without the need for impeachment. Impeachment charges may be made exclusively in the House of Representatives by any of its members or any citizen, for that matter, on any verified account of culpable violation of the constitution, treason, bribery, graft and corruption, other crimes and the betrayal of public trust. The last, i.e. betrayal of public trust, was not among the impeachable offences of the 1935 and 1975 versions of the constitution. Chief Justice Corona, in a nutshell, is being charged with the betrayal of the public trust and violating the constitution by frequent ruling in favour of former President Gloria Macapagal-Arroyo; by failing to disclose the mandatory financial statements and his net worth; and by failing to meet the standards of “competence, integrity, probity and independence” expected of a member of the judiciary. Normally, an impeachment charge made in the House is turned over to a committee for study and consideration. If a majority among the members of the committee find merits to the charge, a report along with an accompanying resolution is endorsed to the House itself. Members of the House, or so we would all like to think, study and deliberate upon the report before voting to either endorse or junk the resolution to impeach. A one-third vote, or roughly 94 of the House’s 286 members, is required for an impeachment resolution to prosper. While at first glance, the speed of the impeachment of Corona within the House of Representatives had the stench of a sleight of hand, in fact it is the constitution itself which provides a convenient shortcut. Provision number 4 of Section 3 under the same article stipulates that if a verified complaint is jointly filed by one-third of all members of the House, the charges – henceforth known as the Articles of Impeachment – may be endorsed to the House of Senate for trial. This explains the signature campaign within the House that we have all been hearing about in the news that took place before the impeachment of Corona. In the end, the 188 signatures were twice as much as what was needed for the impeachment charges to prosper. The constitution also provides that it is the House of Senate alone that has the power to try and make a decision on all impeachment charges. If the President himself is the one being tried for impeachment, ironically it is the Chief Justice who is mandated to preside, albeit without having a vote in the final deliberations. 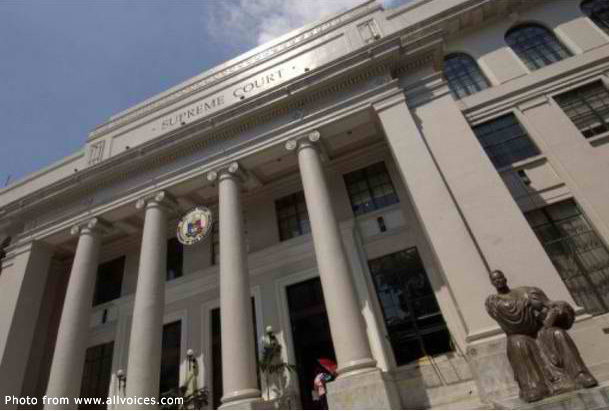 Since it is the Chief Justice who is being tried, the President of the House of Senate – i.e. 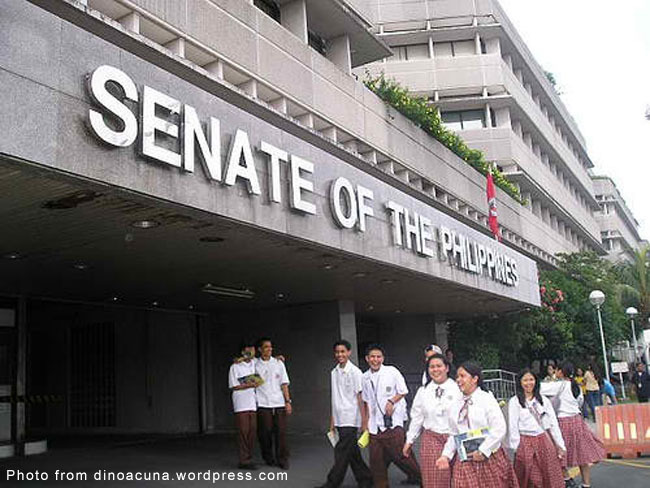 Senator Juan Ponce Enrile – will preside. From all indications, since Congress is due to go into its holiday break, the impeachment trial of Corona is not expected to commence until early next year when Congress resumes. Once the Articles of Impeachment have been received by the House of Senate and the trial has commenced, hearings are set every day from two in the afternoon onwards, excepting weekends, until final judgment has been given. For the accused to be convicted, no less than two-thirds of the House of Senate’s 24 members – in other words, 16 members – have to vote in favour of conviction. Because the purpose of impeachment is to remove a public servant from office, the punishment given if a conviction is arrived at is exactly that – i.e. removal from office – along with subsequent disqualification from holding any other governmental post. To add insult to injury, however, the convicted person may still be charged and prosecuted according to law. 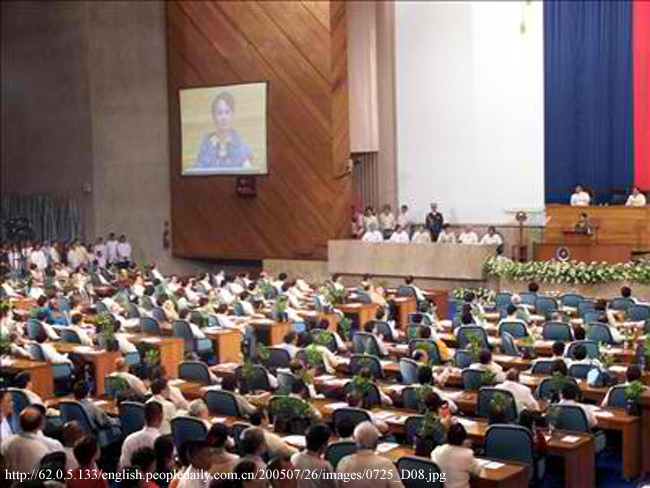 Arguments about Chief Justice Corona’s impeachment in the House of Representatives are diverse and well-documented. 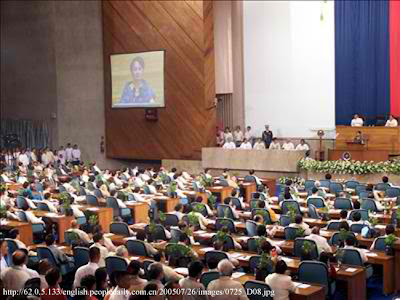 There are those who say that the impeachment is something long overdue; and if Corona is convicted, then it is hoped that attempts to make former President Arroyo accountable can finally make some headway. There are also those who question how the impeachment could have been arrived at in a matter of a mere five hours; and if the 58-page impeachment document was at all dutifully perused and contemplated upon by the members of the House of Representative who voted in favour of it. As an ordinary citizen standing back from the big to-do, I cannot help but be mortified by the whole charade. 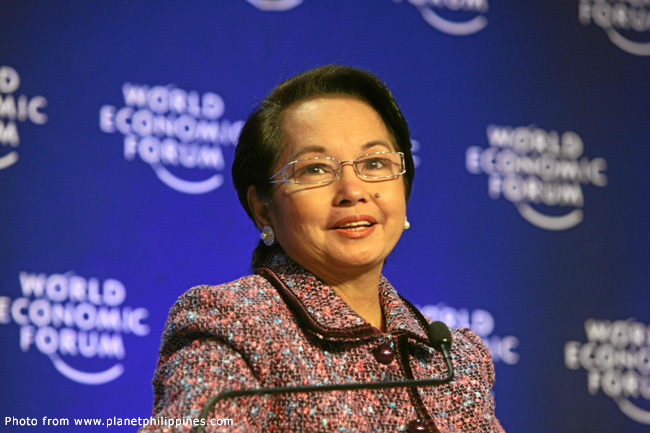 If Corona is convicted and removed from office on account of his alleged frequent ruling in favour of Arroyo, can we all be reassured that whoever takes his place will not rule unfairly in favour of anybody? 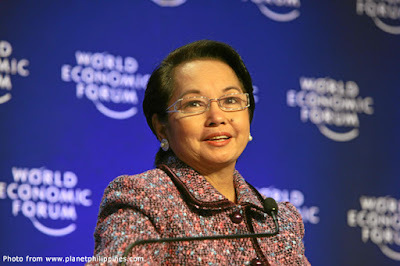 Yes, even in favour of Arroyo all over again. And if whoever takes Corona’s place frequently rules in favour of the current administration, will we not then have a classic case of the pot calling the kettle black? Perhaps, it is being idealistic to think that whoever is appointed to be among the Justices of the Supreme Court can rise above personal alliances and loyalties to be able to do his or her job. On the other hand, do we now all assume that every Supreme Court Justice is suspect and bound by personal loyalties? If we do, then we turn a cheek to our own culpability in voting into public office people who will stoop so low as to hold officers of the judiciary to ransom. Personally, I take no sides other than that of fairness; and to me, it appears that Corona’s impeachment and probable conviction is one way to ensure that Arroyo is also subsequently convicted of all charges against her. I will be honest as I always am in saying that I do not know enough to form an opinion about whether Arroyo is guilty or not. What I do know is that guilt, in a democracy, is established by a court of law and not by the court of public opinion. 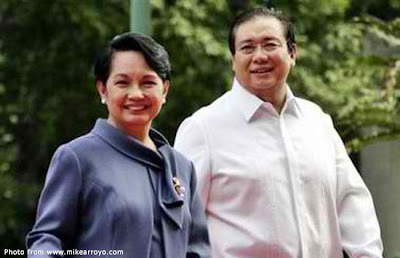 For all I know, Arroyo is guilty as sin. On the other hand, how credible can any court decision on Arroyo be if the courts themselves, as appears to be happening in the present, are being tampered with by political machinating? There are those who argue that Corona’s impeachment is symptomatic of a healthy democracy; and that the principle of check and balance is merely at work. On the other hand, I can point out that the principle of check and balance pertains to the relationship of the executive branch to that of the legislative; and vice-versa. What powers of the judiciary are there to check other than that to ascertain whether the actions of either of the other two branches are within the bounds of law and the constitution? 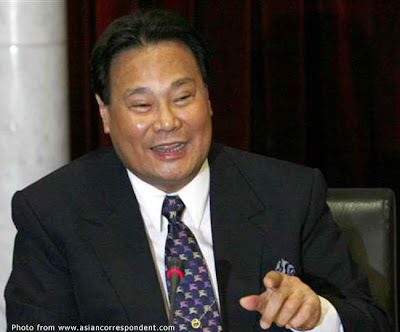 Chief Justice Corona has gone public by saying that he would be answering all the charges against him. I am glad that he will. I do not know him at all. I do not know if he is guilty or not of the charges against him. What I do know is he will be fighting for the preservation of the autonomy of the judiciary branch from the other two branches; and likewise the preservation of our democracy. If he is found guilty, then we will all have to ask the question why-oh-why had we ever allowed somebody who is not above board to have gotten to such an esteemed position. If he is acquitted, then hopefully we can all get back to other things in life. The economy, for one.